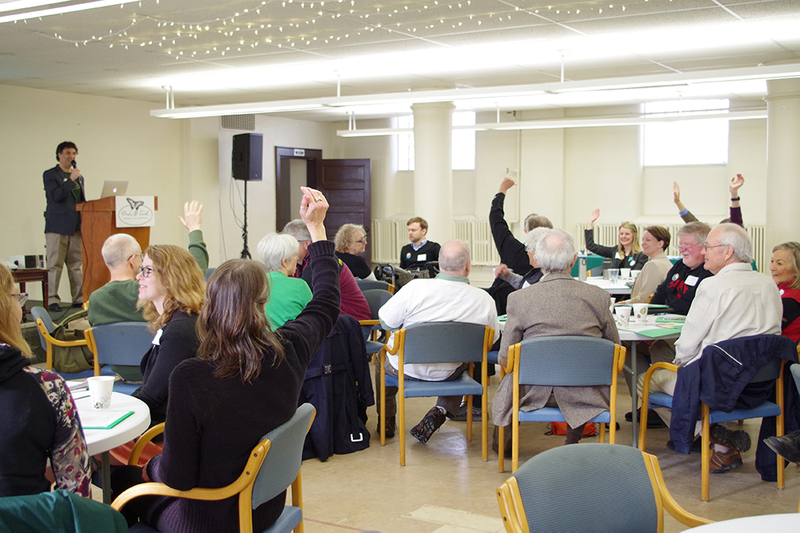 We had a great day as supporters from all around the state gathered for our annual Day on the Hill event on March 27. 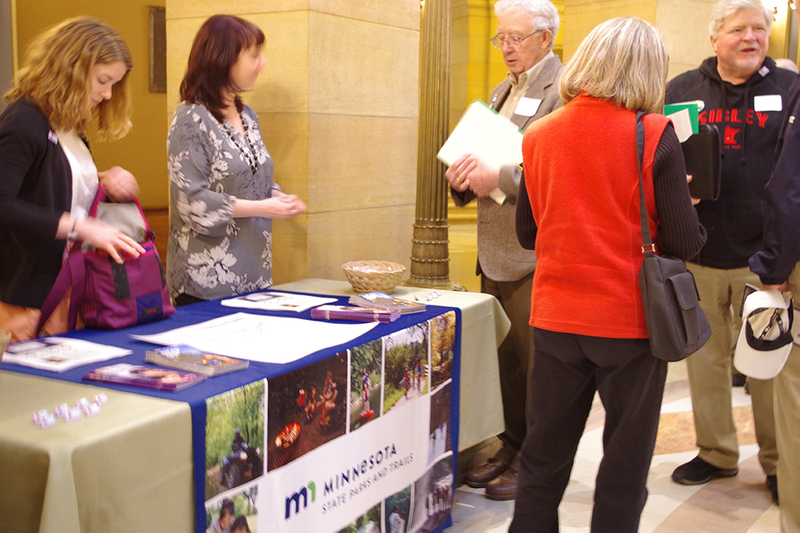 Minnesota State Parks and Trails budget is a primary concern for this year’s legislative session. 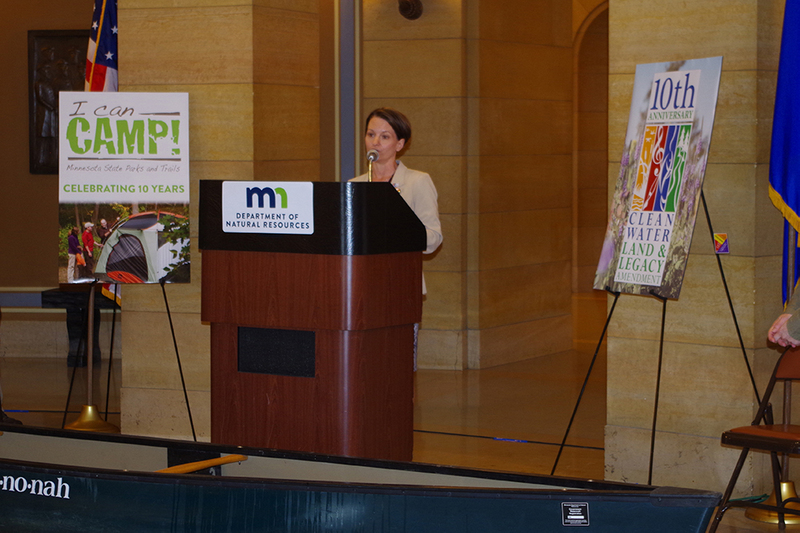 Additionally, we continue to advocate that state parks remain protected from off-highway vehicle use. 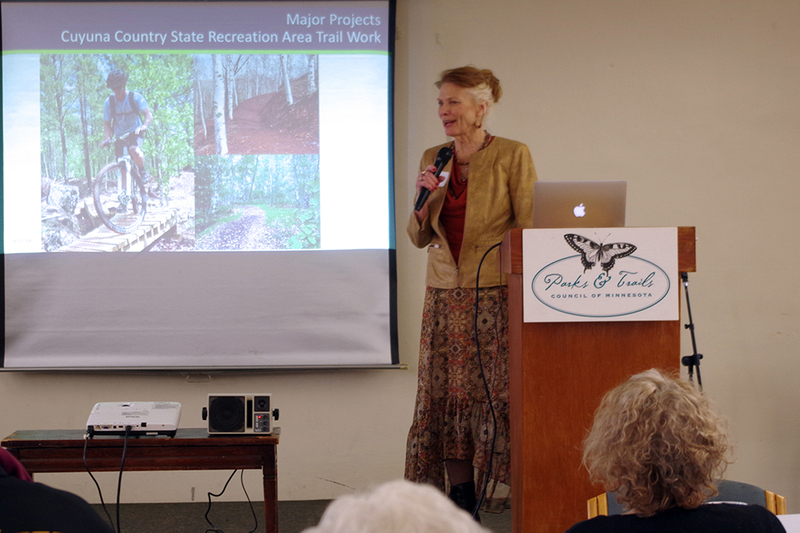 Leaders from the state’s parks and trails systems shared their accomplishments. 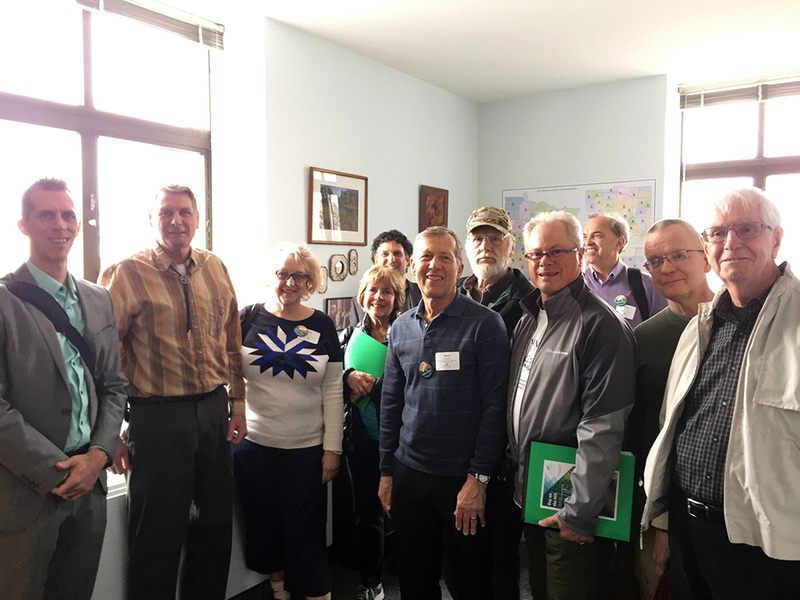 Plus, several legislators stopped in to talk about their support for parks and trails. 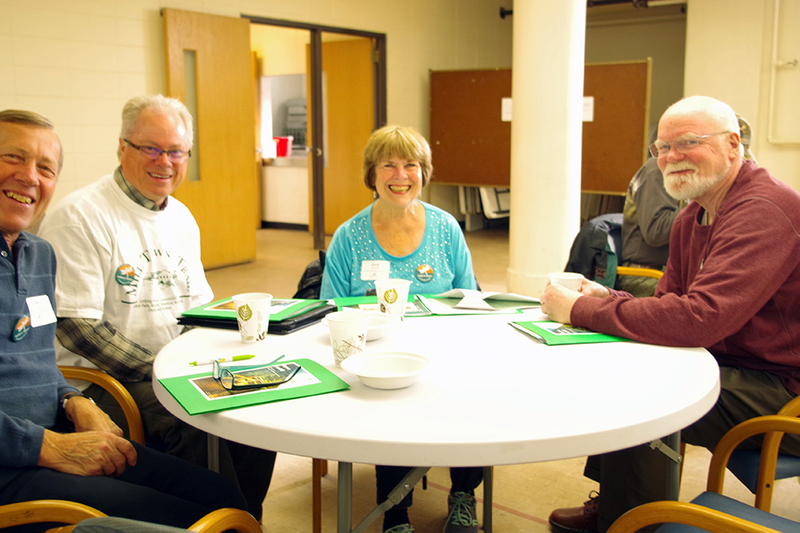 See our photo gallery for a photo essay on the event. 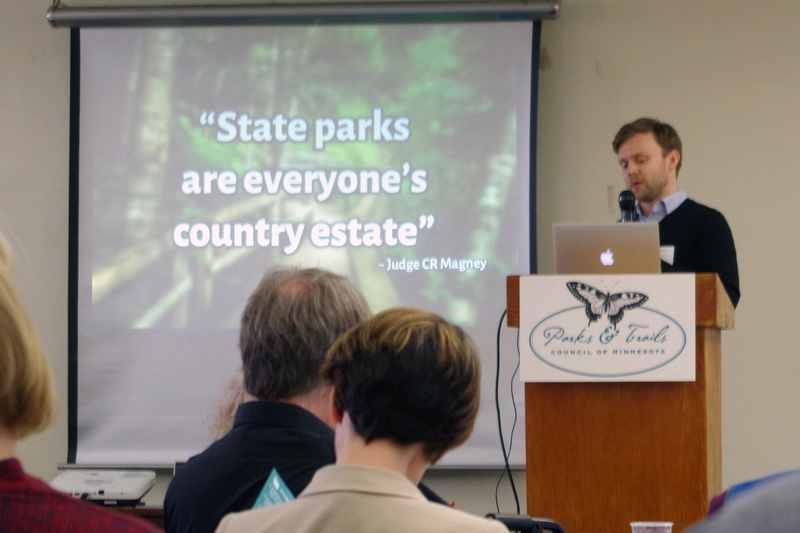 Andrew Oftedal talks about the importance of our work in advocating for Minnesota's parks and trails. 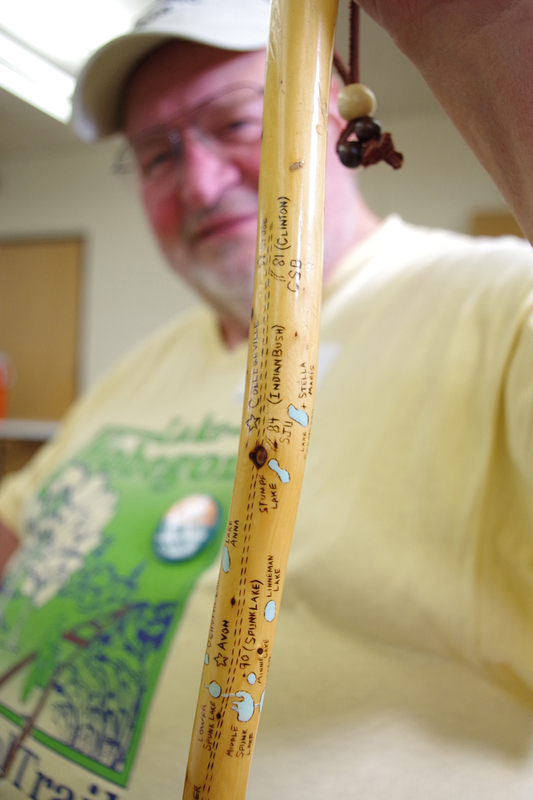 Cliff Borgerding made this hiking stick showing all the towns and lakes along the Lake Wobegon Trail in central Minnesota. 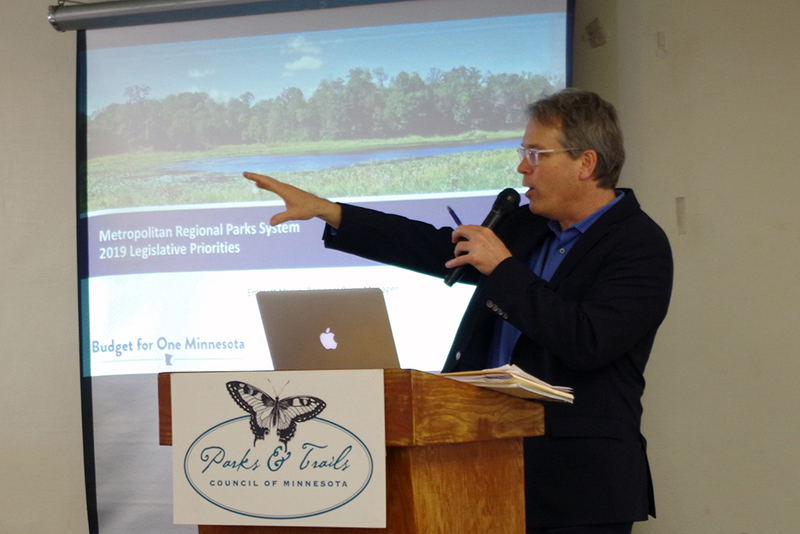 Sen. Ruud is Chair of the Environment and Natural Resource Policy and Legacy Finance Committee and a strong champion of Minnesota's parks and trails. 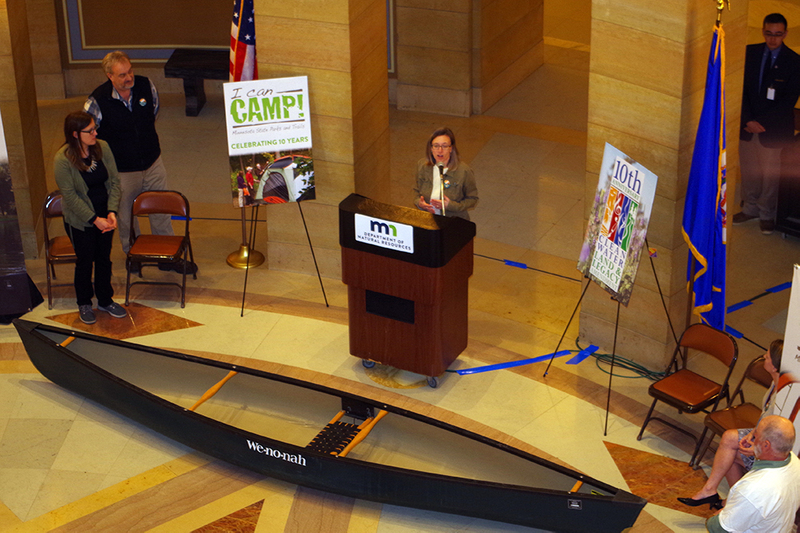 Strommen announcing the DNR's upcoming campaign of "School's Out, Camp Out" when they want to fill every campsite in every state park on June 8, 2019. 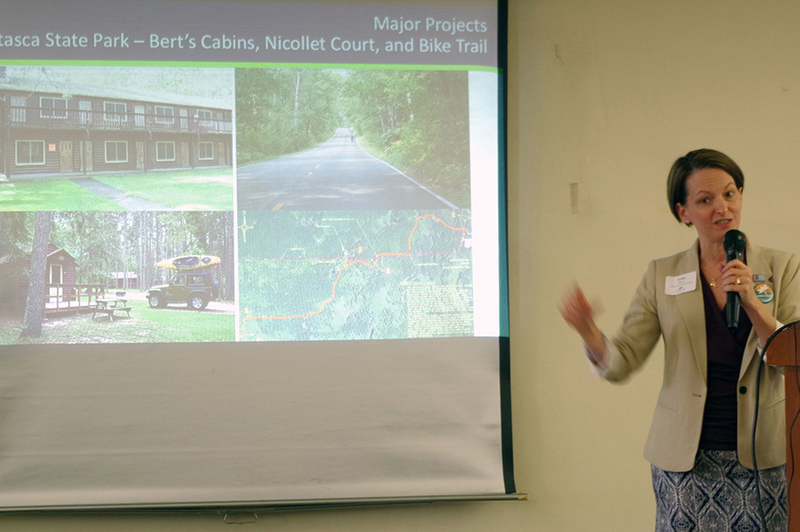 Rep. Becker-Finn shared her personal connection to parks and trails and her plans to camp with her family during the "School's Out Camp Out" campaign this summer. 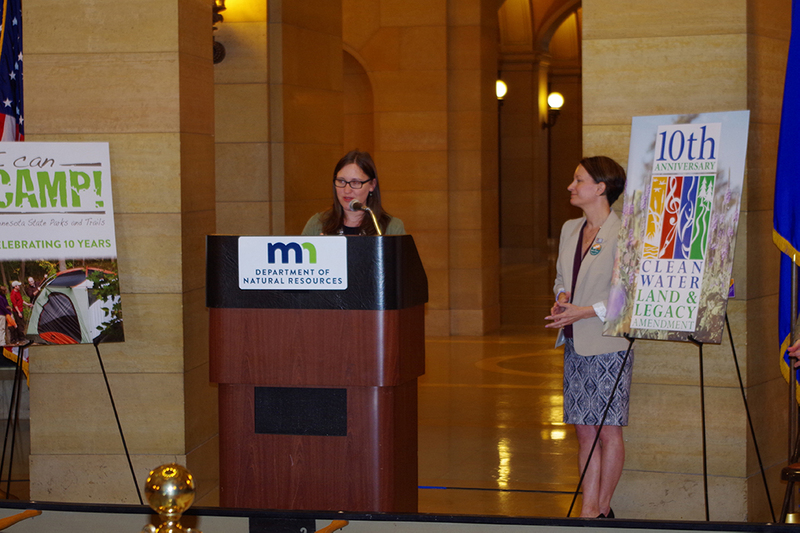 Celebrating 10 years of Legacy Amendment. 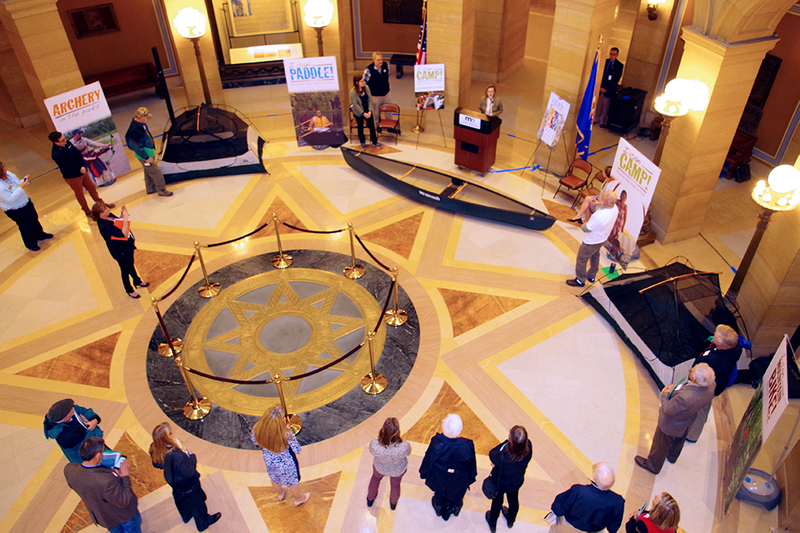 DNR celebrating Legacy Amendment which made the "I Can" programs possilbe. 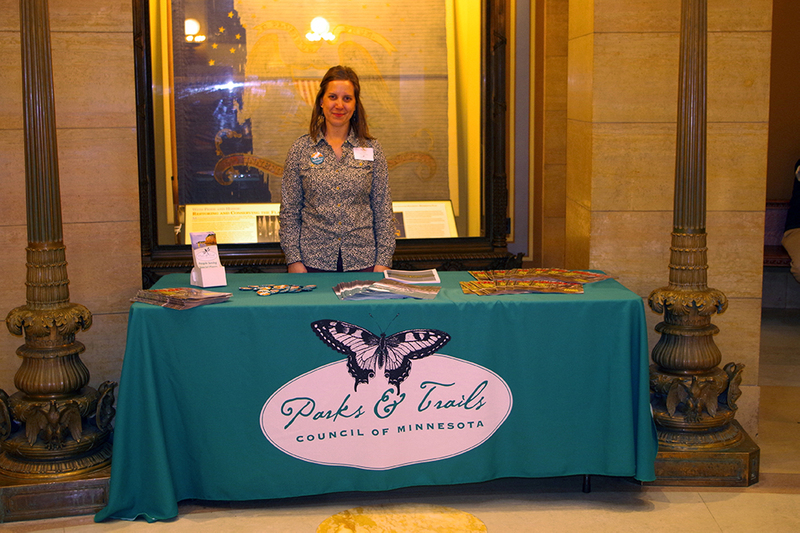 Showing support for Minnesota's parks and trails at our Day on the Hill. 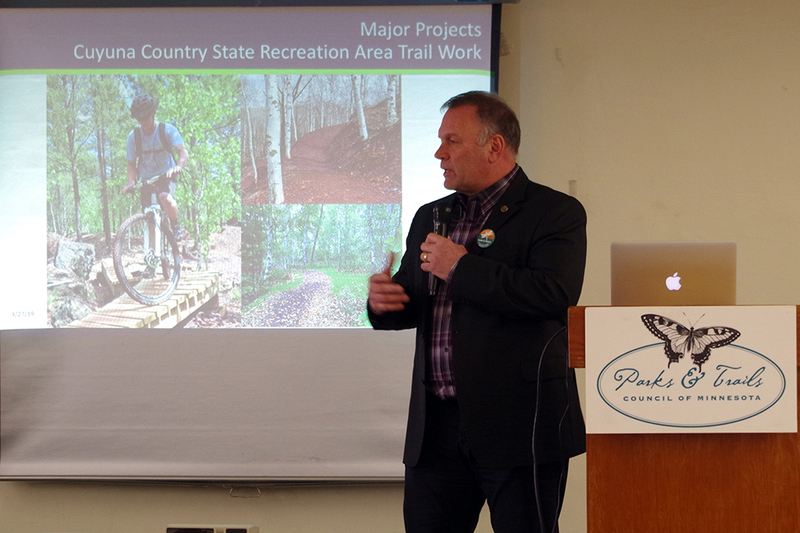 Rep. Hansen shows his support for parks and trails during the DNR rotunda event. 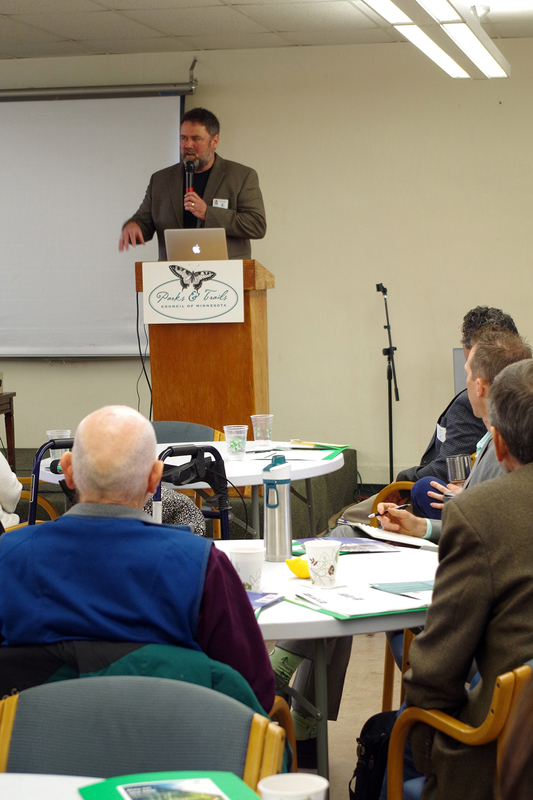 Rep. Baker from Willmar, Minn. talked about his support in helping to build the Glacial Lakes State Trail. 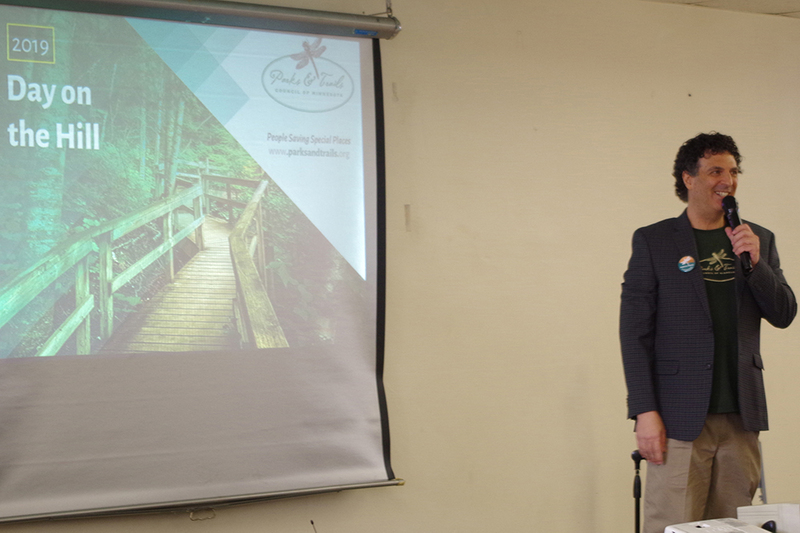 Emmet Mullin talks about the Metropolitan parks system and how it's a gateway for people in urban areas to appreciate and experience the great outdoors. 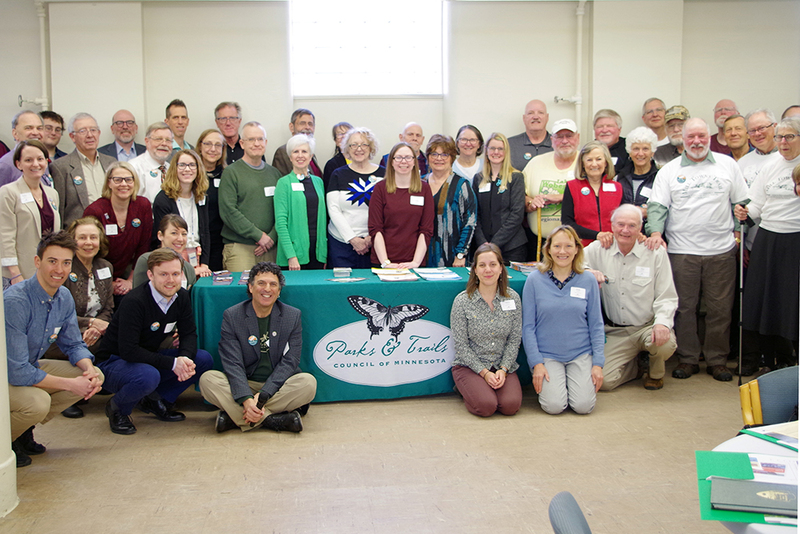 Park leader for Olmstead County Tom Ryan spoke to the importance of the Greater Minnesota Parks and Trails Commission and working together with the other parks agencies to build a better Minnesota. 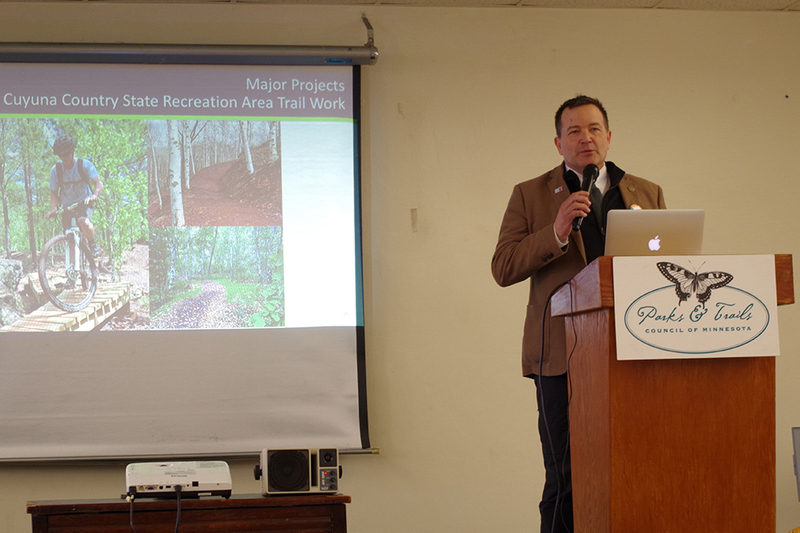 Talking about the Major Projects recently completed or in the works for state parks and trails. 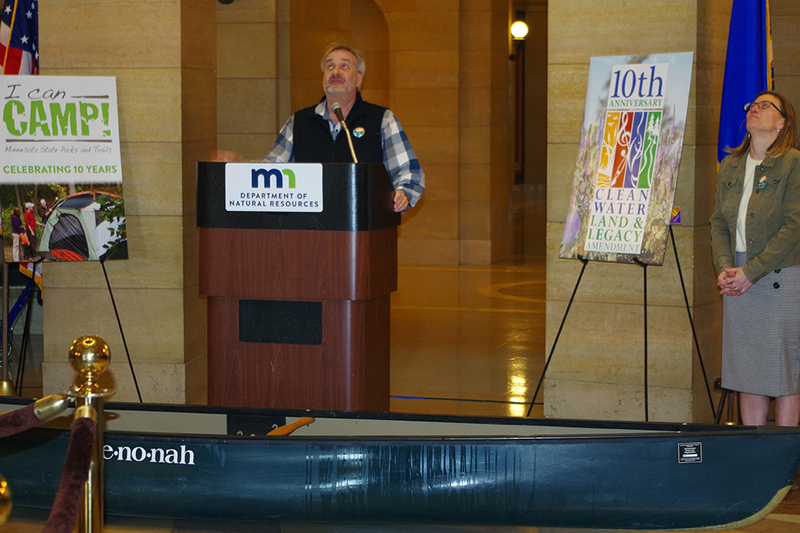 Brett Feldman, executive director for Parks & Trails Council of Minnesota. Seeing who came the farthest and the winner was 280 miles from Grand Marais.